Smile Makeover Cost Info - how much does a Manhattan smile makeover cost? You hate your smile. Your teeth hurt. You feel helpless, but you know something must be done. Don’t allow smile makeover costs to hold you back. It may sound daunting to pursue a new smile, but you won’t know what’s possible logistically or financially until you sit down and consult with your Midtown Manhattan cosmetic dentist. 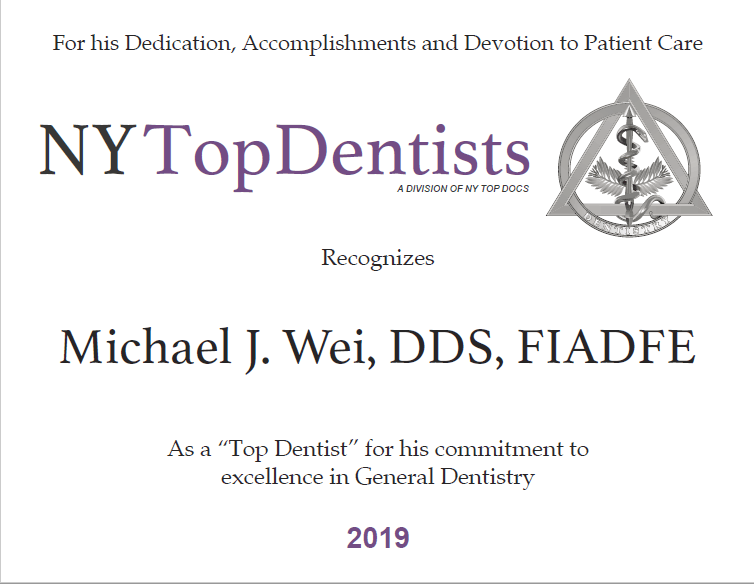 Dr. Michael J. Wei is focused on providing you with the smile of your dreams – and he is prepared to help you achieve it, within your means. Before you can figure out how you will afford your smile makeover cost, it’s important to determine what dental repairs are on your list. The Basics: Some patients need a complete overhaul of their oral health before they can pursue major restorations. General and preventive dentistry treatments can include gum disease therapy and treatment for TMJ. It may even be necessary to do tooth extractions for teeth that are beyond any other sort of dental help. After all, if your teeth and gums aren’t healthy, they aren’t ready to receive any cosmetic enhancements. If you have a painful, broken-down smile, be prepared for a chunk of of your smile makeover cost to fall into this category. The Foundation: Once your mouth is clean and ready to be rebuilt, it’s time for some decision-making. Dr. Wei will present every viable option to you depending on your individual oral health needs. If you are missing teeth, dental implants could be the solution, or a dental bridge and dental crowns. Your budget, desired aesthetics, and comfort level will impact these restorative dentistry decisions, as will the strength, age, and health of your natural teeth and gums. 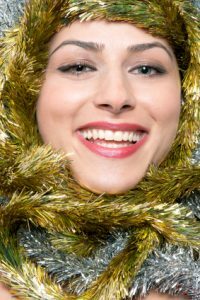 The Bling: Cosmetic dentistry treatments are the icing on the cake, the smile makeover choices that will give you the five-star, celebrity smile you’ve long imagined. Some of these treatments are incredibly affordable, like teeth whitening. Other procedures will require a major financial commitment, like porcelain veneers. 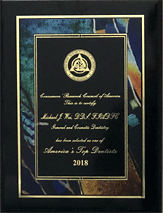 One of the biggest benefits of choosing Dr. Wei as your cosmetic dentist is knowing that you will be in the hands of an experienced perfectionist – he will make suggestions about cosmetic dentistry enhancements on the high end and the low end of the scale. Tooth bonding is affordable and fast, and it may be all you need to fix an unsightly tooth. You will have all options presented to you for discussion and decision-making. Remember, smile makeovers are life-changing, and they help you look younger, healthier, and happier, but they don’t have to cost a fortune. A few small tweaks can have as much impact as a major overhaul, depending on the condition of your individual oral health. Many preventive dental care treatments and restorative dentistry procedures are covered by dental insurance. Cosmetic dentistry treatments are typically not covered and must be paid for out of pocket in their entirety. You don’t have to delve into savings alone to afford your smile makeover cost, however. Even if you have quality dental insurance or a flexible spending account, educate yourself about the financing options available to you. It may make more sense to use your medical dollars elsewhere and pay for the cost of your smile makeover in other ways. CareCredit makes it easy to afford your dental needs. With is 0% interest financing available for up to 18 months, low fixed interest rates and low payments, and plans available for people with a wide range of credit history, this financing program is a popular choice among dental patients. There are no fees to apply. CareCredit is especially helpful for people who may not have dental insurance but find themselves in the sticky situation of having to pay for an emergency dental repair and unexpected smile makeover. Lending Club is another financing option with 0% interest financing for up to 18 months, and this program can be used for general as well as cosmetic dental procedures. At our Midtown Manhattan dental office, we accept most major dental PPO insurances, including Delta, Aetna, Guardian, MetLife, Cigna, and others. We do not accept DMO and HMO insurance plans, Medicaid, or Healthfirst. Dr. Wei is not satisfied until each of his patients is satisfied with their smile makeover. While the smile makeover cost will impact the type of work you may be able to have done on your smile, it will not impact the quality of the work. Whatever smile makeover choices you make, from restorative dentistry to cosmetic dentistry, Dr. Wei will ensure that they are executed with meticulous care so that you leave his office with a beautiful, natural-looking smile makeover. Contact our New York City dental office to make a consultation with us about smile makeover procedures, costs, and insurance benefits. We want your experience to be as stress-free as possible so that you can receive the dental treatments you need, and the smile makeover you want.